During the changing of the seasons, many of us are anxious to get outside and enjoy the beautiful weather. This includes prepping our gardens, sprucing up the front yard, and preparing our homes for the months to come. Thanks to the National Gardening Association, we celebrate National Garden Month in April. Whether it’s preparing your own garden, or helping out in your community, there are lots of ways to celebrate. Plant your garden – Spring has sprung! Creating a garden in your backyard full of fresh fruits and vegetables can provide months of food for you and your family. You don’t need to be an expert—carrots, cauliflower, lettuce, strawberries, raspberries, spinach, and basil are great options for starting out. Volunteer in your community – Gardening extends beyond your backyard. Connect with local charities and plant food to benefit the less fortunate. Reach out to those in your area to help build and organize a community garden. Start composting – Find a nice spot in your backyard and delegate a separate container to create your own compost. You can also create an indoor counter compost and fill it with coffee grounds, egg shells, fruits and vegetables. Although some waste can take several weeks to decompose, the benefits to your garden make it worth it! Lawn Maintenance – By now, the snow has melted leaving you to upkeep your landscaping. It’s the perfect time to plant grass seed and watch it flourish! Don’t forget to regularly maintain your landscaping to help reduce the accumulation of weeds. Go sight-seeing – Nearby public parks and gardens make great day trips for the family. Pack some lunch, bring the family, and enjoy the beauty that public gardens have to offer. Upstate New York has 13 must-see gardens! 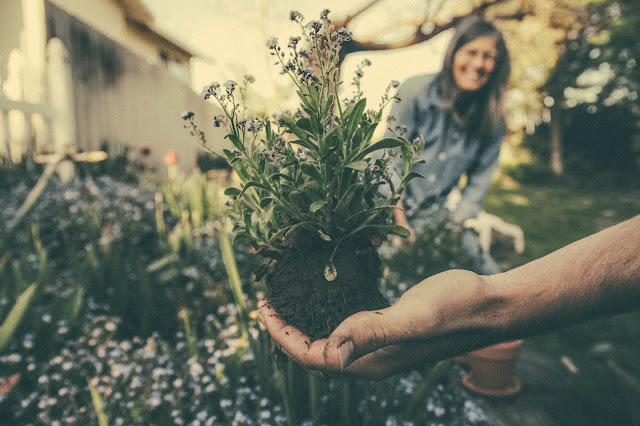 There are so many ways to celebrate National Garden Month this April, so get outside and get started!